This was one of those games that I really liked when I was younger. 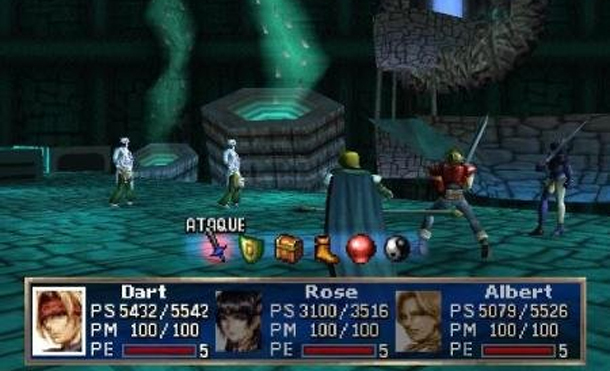 The Legend of Dragoon is a turn-based RPG, developed by SCE Japan Studio and published by Sony Computer Entertainment, that released for the PlayStation in 2000. I am currently playing this nostalgic game on my PSVita. This game was one of my father’s games when I was younger and I’ve never seen him play it but I thought it was interesting so I tried it out myself and I have to say, I really liked it. I used to love a turn-based game, especially with Final Fantasy. Playing The Legend of Dragoon now is very emotional for me. I am an emotional person so watching the beginning cutscene made me cry a lot. Have you guys played The Legend of Dragoon? ← Look at this adorable Overwatch Doge cosplay!